If view timecard is selected your timecard will open immediately. If you opt to close the window and come back to your timecard later, it can be found within the Timecards area. Once complete, if you would like to wait to submit your timecard at a later time click to select the save and close button. 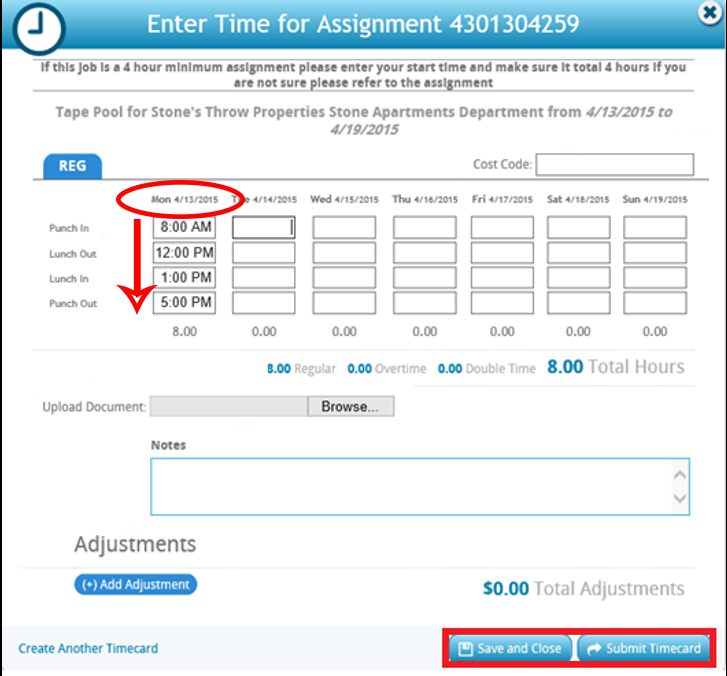 If your timecard is complete and you are ready to submit it for approval click to select the submit timecard button. *Note – You should enter and save your time on a daily basis, and submit it at the end of the week. If you have any questions or comments, please feel free to reach out to your local Employnet Office.